Closed on Saturday, Sunday and legal holidays. 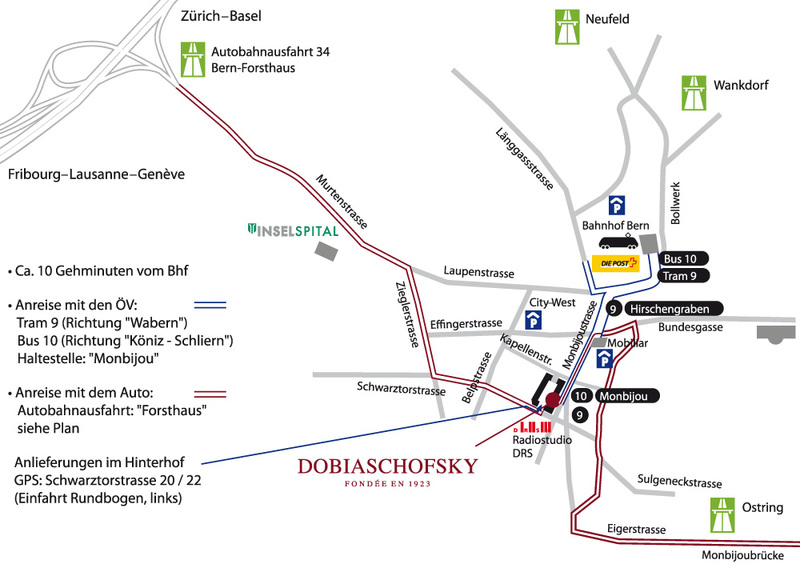 Dobiaschofsky Auktionen AG is located in the centre of Bern, only a few minutes walking distance from the rail station and easily accessible by other means of transportation. The “City West” Parking offers a big number of parking places. 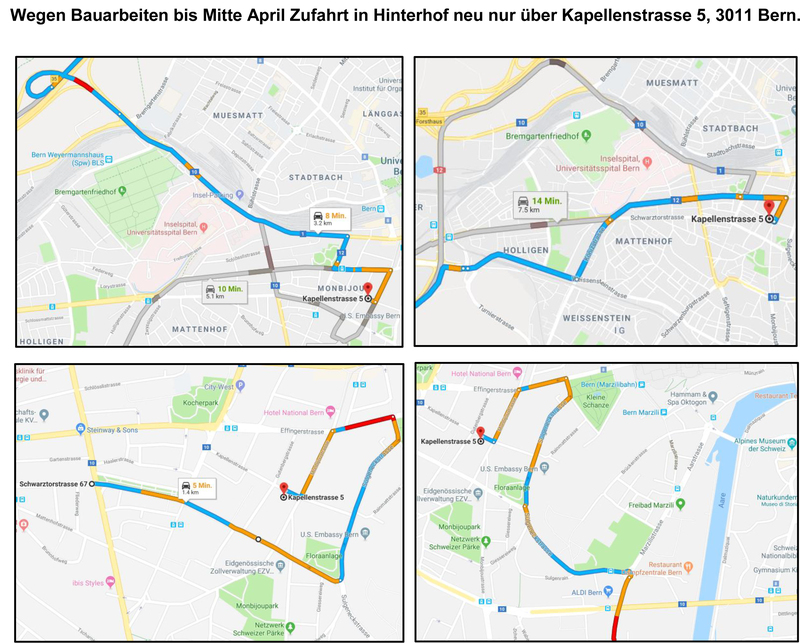 For the delivery, reception or retrieval of objects, you may park briefly in the back yard (entry from the Kapellenstrasse or Schwarztorstrasse, see the map). For an enlarged version, please click on the image. Or click here for the Google map.